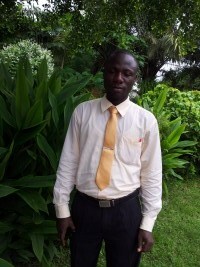 Adolphus is a graduate of the Winifred J. Harley School of nursing and now works at Ganta United Methodist University. He first joined Nursing for All in Fall 2014 to run an initiative educating members of the rural communities around Ganta about Ebola. Adolphus has completed an innovative program at the Winifred J. Harley School of Nursing in which nurses are educated in basic dentistry. Since Liberian water is typically not fluoridated, Adolphus has partnered with a number of local schools to perform dental assessments on their students and to administer a fluoride solution to protect the teeth of those students who need it. Adolphus has also trained the school staff on dental hygiene so they can continue to educate their students in the future.